Australia's oldest scientist has left the country for Switzerland to end his life at the age of 104, saying he is resentful that he must go overseas to die. 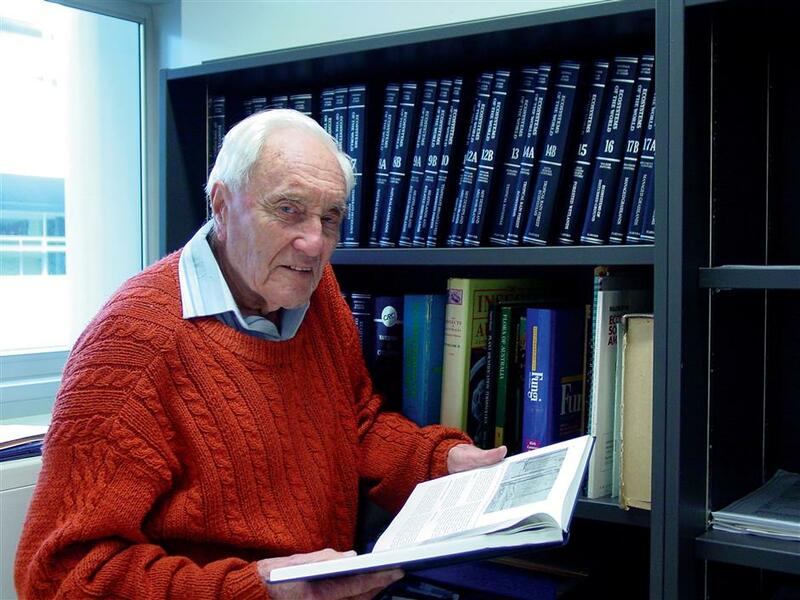 This undated handout photo received on April 30, 2018, from Exit International shows Australia's oldest scientist David Goodall in his hometown Perth. Australia's oldest scientist, wearing a top labeled "ageing disgracefully," has left the country for Switzerland to end his life at the age of 104, saying he is resentful that he must go overseas to die. David Goodall does not have a terminal illness but his quality of life has deteriorated and he has secured a fast-track appointment with assisted dying agency Life Circle in Basel. He got on a plane in Perth on late Wednesday surrounded by friends and family saying their final goodbyes, euthanasia advocates told AFP. He will spend several days with other family in Bordeaux, France, before heading to Switzerland where he is due to end his life on May 10. "I don't want to go to Switzerland, though it's a nice country," he told broadcaster ABC before leaving. "But I have to do that in order to get the opportunity of suicide which the Australian system does not permit. I feel very resentful." Assisted suicide is illegal in most countries around the world and was banned in Australia until the state of Victoria became the first to legalize it last year. Exit International, which helped Goodall make the trip, said it was unjust that one of Australia's "oldest and most prominent citizens should be forced to travel to the other side of the world to die with dignity." It launched a GoFundMe campaign to get plane tickets for Goodall and his helper upgraded to business class from economy and quickly raised more than AUD$20,000 (US$15,000). Goodall, an honorary research associate at Perth's Edith Cowan University, made international headlines in 2016 when he was declared unfit to be on campus. After an uproar and support from scientists globally, the decision was reversed. He has produced dozens of research papers and until recently continued to review and edit for different ecology journals. Goodall told ABC he appreciated the public's interest in his plight and hoped it would spark more discussion about voluntary euthanasia. "I would like them to understand it," he said. "I am 104 years old so I haven't got much time left anyway. I might as well not have (my health) getting worse and worse, making me unhappy as it goes."